This beautiful 4 bed, 2 full bath home has all the updates you have been looking for. Walking through the entry way you are greeted by a beautiful open staircase and a large living space with hardwood flrs, built-ins and, a fireplace. In the formal dining room, youâll see the natural light pouring in the picture window, and the gorgeous chandelier. Next up is the fully renovated kitchen featuring quartz counters, tile backsplash and SS appliances. There is a booth perfect for sharing meals together to complete the space. The mudroom off the kitchen leads to the attached garage and out to the backyard. Rounding out the main level is a full bath and a master bedroom / flex room. On the 2nd level there are 2 large bedrooms and a 3rd bedroom perfect for a nursery. There is another full bathroom and tons of storage. 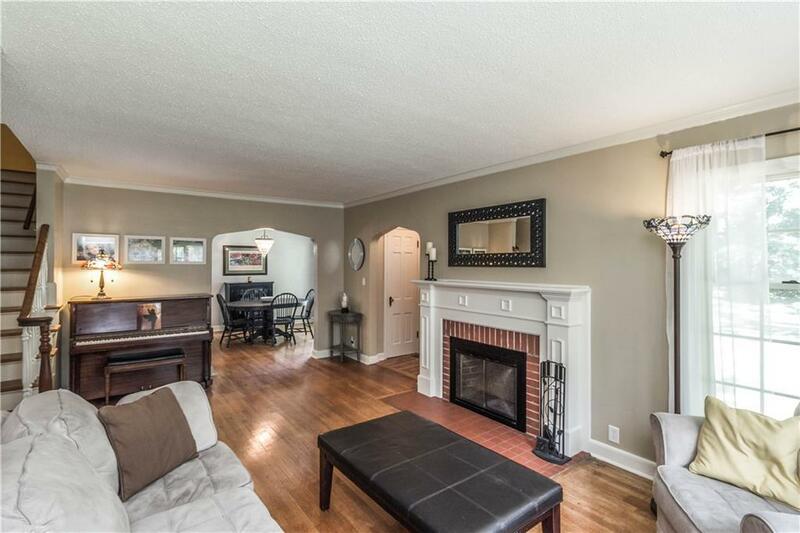 This home sits on a large lot with beautiful mature trees, the backyard is mostly fenced. There is a new oversized detached 2 car garage. New exterior paint and roof in 2014.